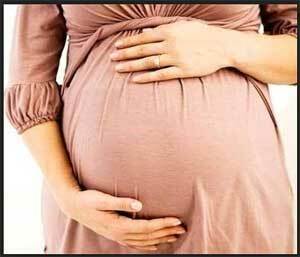 The case concerned a 26-year old lady, a native of Cuddalore who was admitted to an Additional Primary Health Centre near Koovathur after experiencing the labour pain. The nurses present in the healthcare centre opted for vaginal delivery. During the delivery, decapitation took place where the head of the baby was rushed out while the torso remained inside. The lady was immediately rushed to the Chengalpattu Medical College hospital where emergency surgery was performed to save the life of the woman. The family of the woman filed a complaint alleging that it was medical negligence on the part of staffs at the PHC. They claimed that no qualified doctor was present at that time and the nurses instead of referring her for a safer Caesarean section, conducted the vaginal delivery. He informed the daily that to avoid any such incident in future, all PHCs in the state were ordered to make it sure that a doctor remains present during any deliveries. “We have given strict orders to all the PHCs in the state, additional and otherwise, to ensure that doctors are called in even after hours to attend to deliveries. Earlier this was not a protocol, because the staff nurses are more than well equipped to handle these cases,” he further said. I wonder if the sage 2 labour will wait till the doctor reaches the premise. What will happen if the sister refuses to conduct delivery, stating this order, when a patient in stage 2 is brought in. Simply super judgement. So that they can cover all deliveries. The action is for the safety of the hospitalized patients, Drs as and wen needed to be present for medical emergencies, it is their duty as a professional. For that the doctor will be paid extra? No…! Then how come it was not mandatory before n now its mandatory….such disgusting beaurocracy….lot of things happen to lot of people…stick to the facts…punish who r responsible do not jst do what u think is right! Doctors have got their own families too!